In my previous blog article, I addressed the myth that a person can never win a License Restoration Appeal the first time. I pointed out that I GUARANTEE that I’ll win any Appeal I take the first time around. In this article, I want to continue with another installment of shorter length (this from a guy whose average piece runs about 4 pages) and clarify that, almost without exception, a person cannot win a License Appeal if they are still on Probation, and absolutely will lose any such case if they are on Parole. On several recent occasions, my Office has received calls from people who have outright disagreed with this, and said “another Lawyer told me that didn’t matter.” Because I have more than enough License Appeal cases to keep me busy, I have no desire to argue with these callers. I feel obligated to inform them, however, that the Case Law is clear on that point. I also remind them that I offer a “Win” Guarantee, and challenge them to get one from whoever gave them the incorrect advice about being able to win a License Restoration Appeal while still on Probation, or Parole. As I noted, I have enough License cases booked into the future to keep me busy. Yet I am, after all, in business to make money. I have no reason to send a person and their money to another Law Office to pay for the services I provide. But I will not accept someone’s money for something I know to be legally impossible. And winning back your License while on Probation, except in extraordinarily limited circumstances, is not Legally possible. Parolees will have to wait until after their Parole has ended. I have read the opinions of the few other Lawyers on this topic, and at least those who have taken the time to write about it clearly understand that being on Probation or Parole precludes winning a License Appeal. And while I agree that the Michigan Court of Appeals decision (linked above) that upheld this ruling by the Michigan Secretary of State’s Driver Assessment and Appeal Division (DAAD) is unfair, the Law is now clear, and unfair or not, it is what it is. In order to win a License Appeal, a person with 2 or more DUI’s must prove that they have not consumed any alcohol for at least 12 months. Technically, there are circumstances where a person is legally eligible after 6 months of abstinence, but in the real world, 12 months is the absolute minimum. The Law requires that a person’s License be Revoked for a minimum of 1 year if they rack up 2 DUI’s within 7 years, or for a minimum of 5 years if they rack up 3 DUI’s within 10 years. Thus, a person who is convicted of his or her 2nd DUI within 7 years will become eligible to file a License Appeal after 1 year has passed. Yet almost everyone who gets a 2nd DUI within 7 years of his or her first can count on getting, amongst whatever else, at least 2 years Probation. This means that many people will, somewhat ironically, become legally eligible to file a License Restoration Appeal after 1 year, but will be legally ineligible to win any such Appeal because they are still on Probation. The DAAD decided that, even if a year has passed, but a person is still on Probation, and they come in and say “look, I’ve got that minimum 12 months of required abstinence from alcohol,” they are, nevertheless, unable to prove that any part of that was really and truly voluntary, because they are under Court Order to NOT drink, or else their Probation can be Violated and they can be sent to Jail. Admittedly, there is a certain truth to this. 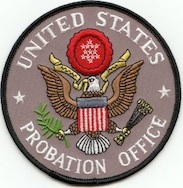 Anyone on Probation or Parole is forbidden from consuming alcohol, and whether he or she is tested every day, four times a week, three times a month, only randomly and sporadically, or even not at all, if they are caught drinking, it is a direct Violation of that Probation or Parole. Everyone knows that if you Violate, you can get locked up. This does, of course, ignore the sheer fact that those people who really and truly find Sobriety often “get it” like they’ve had a light switch flipped, and that such an epiphany often comes as they sit in the Jail cell after that last DUI Arrest. These people wouldn’t pick up another drink even if they were allowed to. On the other side of the coin, however, is the fact that most people with an alcohol or substance abuse problem don’t get over it. Statistically speaking, only a minority of people with such problems can overcome them. Think back to the people from high school who were the big drinkers; what became of them? Maybe one or two sobered up, but, by and large, they’re still big drinkers – even bigger drinkers than they were back in the day. Remember the old guys you knew when you were growing up who were considered drunks, or alcoholics? Did you ever hear about any of them sobering up? Unfortunately, most of them died the way they lived. Thus, the State is understandably skeptical. It has to be. Almost everyone on Probation can show up after their first year, proudly declare they’ve been alcohol-free for the last 12 months, and say they will never drink again. And given the chance, almost everyone will do just that. Yet it’s easy to talk the talk, but it is only when the threat of punishment has been removed that a person can unquestionably demonstrate that they can walk the walk, so to speak. Accordingly, the State requires a period of demonstrable voluntary Sobriety before it will give a License. How long is that? Are you ready for the world famous, ultimate “Lawyer” answer? There is no set time. As a Driver’s License Restoration Lawyer, I just have a “feel” for how long a person needs to have been off Probation, or if they are that extraordinary, unusual “one-in-a-thousand” exception to the rule who CAN win a License while on Probation (but never Parole). That “feel” involves a kind of balancing and blending of multiple ingredients, such as the timing of the person’s DUI’s, their BAC levels for each, the Sentence they received, if their Probationary terms were been changed (as in lessened, or completely terminated), if they are involved in AA, or counseling, or living in a Sober community, and about a million other intangibles. No doubt, the curious reader still on Probation wants some kind of description of that super-duper “exception” to the “no License while on Probation or Parole” rule. That too, “depends,” but whatever else, it will almost always involve a person whose Probation is, or was converted to non-reporting. Also, it is usual, in these rather exceptional cases, that the person is on Probation to a Court that is rather far away from where they live. This all means that the person is, logistically speaking, practically unable to be tested for alcohol, making any abstinence on their part more voluntary than anything else. There are probably loads of people who are thinking, “That’s me! Nobody checks up on me; nobody tests me!” This is why when I say, “it depends,” I mean that it depends upon me to make the call. Whatever else, I am far less worried about setting the bar too high and telling someone to wait who might have been able to squeak by than I am taking someone on, only to lose, thereby triggering my Guarantee, and damaging my win percentage. For all of that, it still comes down to odds more like one in a thousand rather than even one in a hundred, despite the rather “exceptional” feelings anyone may have about themselves. To keep my promise regarding the length of this article, I will end here by reminding the reader that it is the Law that, in almost all cases, you cannot win a License Appeal if you are on Probation, and it is impossible if you are on Parole. For those on Probation who think that they are, in fact, that “one in a thousand” exception, I can at least promise, in exchange for your call, that I will never just tell you what you want to hear, but will instead provide an honest appraisal of your situation. Chances are, however, that like the vast majority of those seeking to win back their Driver’s License, you’ll simply have to wait until your Probation or Parole has ended, and you have accumulated a little clean time that is unquestionably voluntary.